The audit log allows organization admins to quickly review the actions performed by members of your organization. It includes details such as who performed the action, what the action was, and when it was performed. The audit log lists actions performed within the last 90 days. Only owners can access an organization's audit log. Note that you cannot search for audit entries using text. You can, however, construct search queries using a variety of filters. Many operators used when querying the audit log—such as -, >, or < —match the same format as searching across GitHub Enterprise. repo:my-org/our-repo finds all events that occurred for the our-repo repository in the my-org organization. repo:my-org/our-repo repo:my-org/another-repo finds all events that occurred for both the our-repo and another-repo repositories in the my-org organization. -repo:my-org/not-this-repo excludes all events that occurred for the not-this-repo repository in the my-org organization. Note that you must include your organization's name within the repo qualifier; searching for just repo:our-repo will not work. actor:octocat finds all events performed by octocat. actor:octocat actor:hubot finds all events performed by both octocat and hubot. -actor:hubot excludes all events performed by hubot. 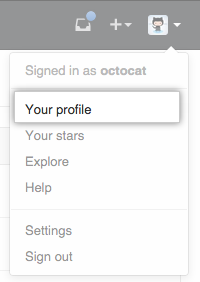 Note that you can only use a GitHub Enterprise username, not an individual's real name. hook Contains all activities related to webhooks. profile_picture Contains all activities related to your organization's profile picture. protected_branch Contains all activities related to protected branches. repo Contains all activities related to the repositories owned by your organization. team Contains all activities related to teams in your organization. action:team finds all events grouped within the team category. -action:hook excludes all events in the webhook category. action:team.create finds all events where a team was created. -action:hook.events_changed excludes all events where the events on a webhook have been altered. create Triggered when a new hook was added to a repository owned by your organization. config_changed Triggered when an existing hook has its configuration altered. destroy Triggered when an existing hook was removed from a repository. events_changed Triggered when the events on a hook have been altered. disable_two_factor_requirement Triggered when an owner disables a two-factor authentication requirement for all members and outside collaborators in an organization. enable_two_factor_requirement Triggered when an owner requires two-factor authentication for all members and outside collaborators in an organization. invite_member Triggered when a new user was invited to join your organization. remove_member Triggered when an owner removes a member from an organization or when two-factor authentication is required in an organization and an organization member doesn't use 2FA or disables 2FA. Also triggered when an organization member removes themselves from an organization. remove_outside_collaborator Triggered when an owner removes an outside collaborator from an organization or when two-factor authentication is required in an organization and an outside collaborator does not use 2FA or disables 2FA. update_default_repository_permission Triggered when an owner changes the default repository permission level for organization members. update_member Triggered when an owner changes a person's role from owner to member or member to owner. update_member_repository_creation_permission Triggered when an owner changes the create repository permission for organization members. create Triggered when a new OAuth application is created. destroy Triggered when an existing OAuth application is deleted. reset_secret Triggered when an OAuth application's client secret is reset. revoke_tokens Triggered when an OAuth application's user tokens are revoked. transfer Triggered when an existing OAuth application is transferred to a new organization. update Triggered when you set or update your organization's profile picture. create Triggered when branch protection is enabled on a branch. destroy Triggered when branch protection is disabled on a branch. update_admin_enforced Triggered when branch protection is enforced for repository administrators. update_require_code_owner_review Triggered when enforcement of required Code Owner review is updated on a branch. dismiss_stale_reviews Triggered when enforcement of dismissing stale pull requests is updated on a branch. update_pull_request_reviews_enforcement_level Triggered when enforcement of required pull request reviews is updated on a branch. update_required_status_checks_enforcement_level Triggered when enforcement of required status checks is updated on a branch. rejected_ref_update Triggered when a branch update attempt is rejected. policy_override Triggered when a branch protection requirement is overridden by a repository administrator. access Triggered when a repository owned by an organization is switched from "private" to "public" (or vice versa). add_member Triggered when a user is invited to have collaboration access to a repository. add_topic Triggered when a repository admin adds a topic to a repository. enable Triggered when a repository is reenabled. remove_member Triggered when a user is removed from a repository as a collaborator. remove_topic Triggered when a repository admin removes a topic from a repository. add_member Triggered when a member of an organization is added to a team. add_repository Triggered when a team is given control of a repository. change_privacy Triggered when a team's privacy level is changed. create Triggered when a new team is created. destroy Triggered when a team is deleted from the organization. remove_member Triggered when a member of an organization is removed from a team. Use the created qualifier to filter actions in the audit log based on when they occurred. Date formatting must follow the ISO8601 standard, which is YYYY-MM-DD (year-month-day). You can also add optional time information THH:MM:SS+00:00 after the date, to search by the hour, minute, and second. That's T, followed by HH:MM:SS (hour-minutes-seconds), and a UTC offset (+00:00). created:2014-07-08 finds all events that occurred on July 8th, 2014.
created:>=2014-07-08 finds all events that occurred on or after July 8th, 2014.
created:<=2014-07-08 finds all events that occurred on or before July 8th, 2014.
created:2014-07-01..2014-07-31 finds all events that occurred in the month of July 2014. The audit log contains data for the past 90 days, but you can use the created qualifier to search for events earlier than that. country:de finds all events that occurred in Germany. country:Mexico finds all events that occurred in Mexico. country:"United States" all finds events that occurred in the United States.